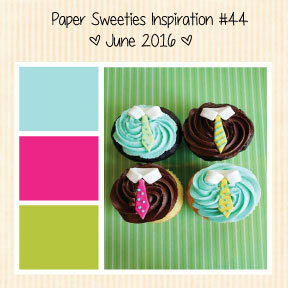 Paper Sweeties June 2016 Rewind! 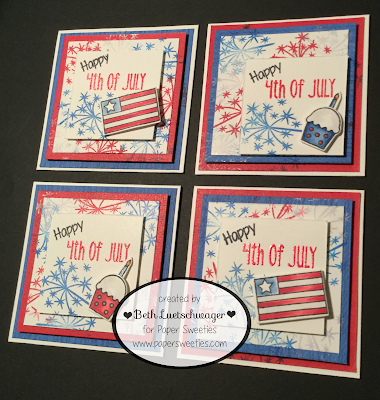 Using the 4th of July Sentiment from the Happy Everything stamp set and the "happy" sentiment from the Planner Series Winter Sentiments stamp set. 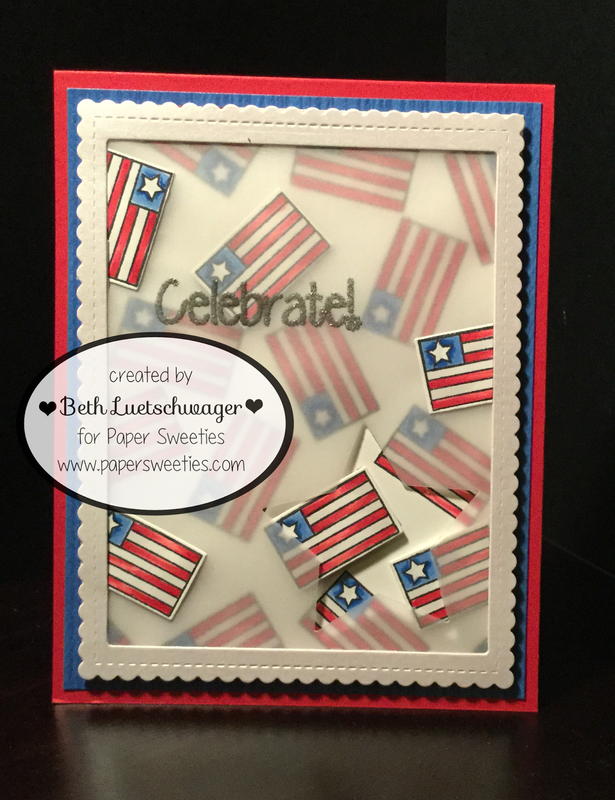 The cupcakes, flags and fireworks were all from this month's new release, I Love Summer Stamp and Die sets. That about wraps it up for me, I can't wait to use these cute little cards to spread some happiness. Be sure to check out the other Designers creations! 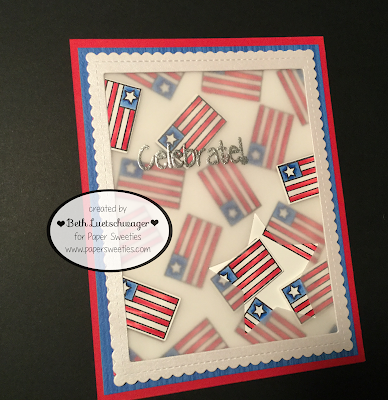 Beth Luetschwager - You are here! Thanks Debbie for creating such amazing designs. Paper Sweeties June 2016 New Product Release! Hey Everyone! I'm so excited that June's product release day is here! 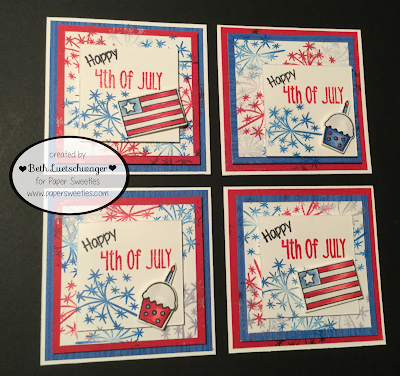 I Love Summer is such a fun set of stamps and dies to work with, I really had a blast with this card. The sentiment and the flag stamp are both from this month's new release, I Love Summer Stamp and Die Sets. 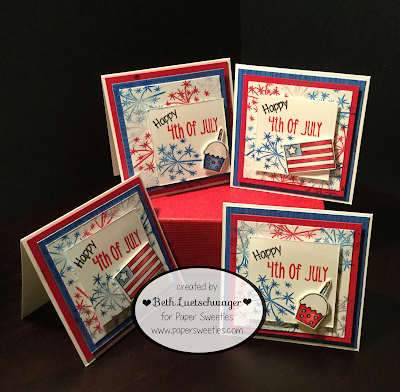 Be sure to check out the other creations that the Paper Sweeties Design team have made! Paper Sweeties June 2016 Release Sneak Peek! Hi everyone! 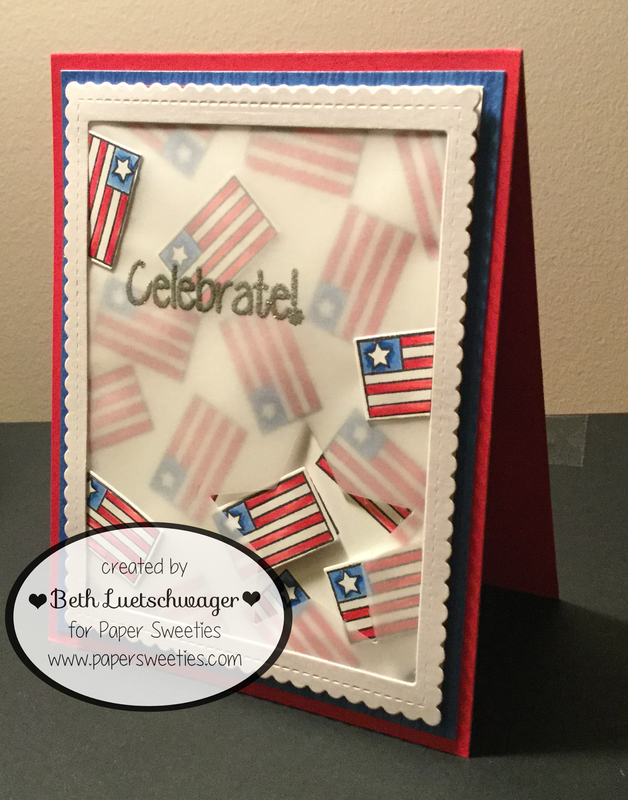 I am happy to announce that today marks the beginning of the Paper Sweeties June 2016 New Product Release! 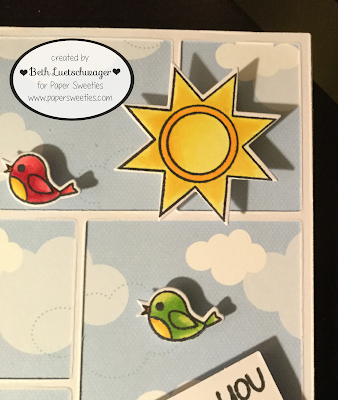 So let's start with a little sneak peek at what is in store from Paper Sweeties this month. I loved coloring in these sweet little birds. Most of these adorable stamps and dies are from the new I Love Summer release, but Mister Golden Sun up there is from The Island Time Stamp and Die sets. Don't forget to check out the rest of the design team's sneak peeks! I hope you're as excited as I am to work with Debbie's new creations. Hey everybody! 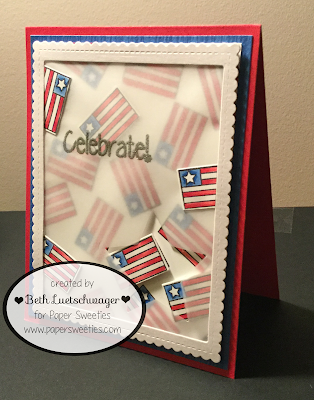 I'm so excited to be working with Debbie and the Paper Sweeties Design Team! I must apologize for my post being late, there were some technical difficulties on my end. That being said, I'm excited to show you all my card for the month. But first, here's this month's theme. This was a fun theme to work with; the colors were so bright and summery. 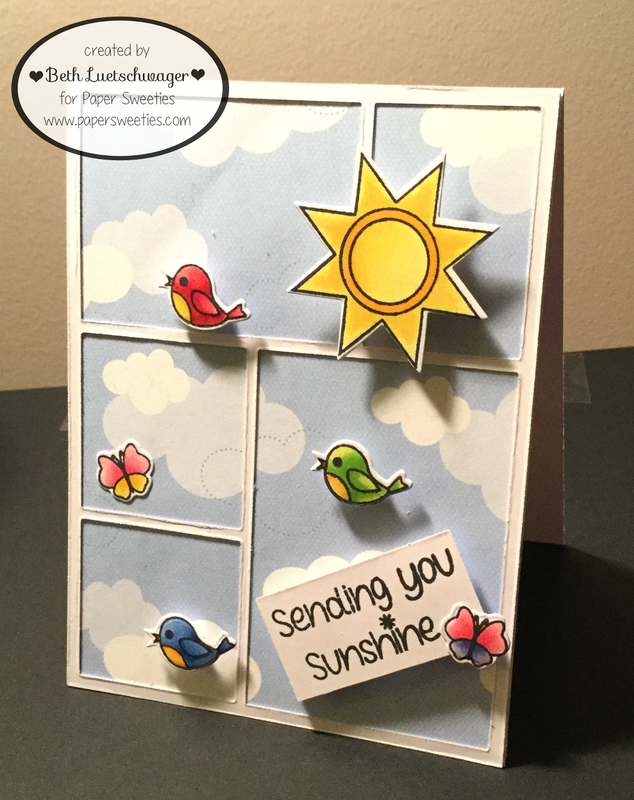 I decided to keep things simple and sweet by using Paper Sweeties' Pretty Posies Stamp and Die sets. 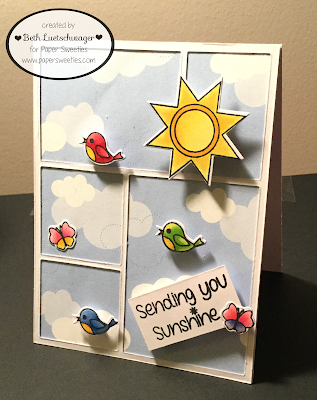 Paired up with the Garden Time Stamp and Die sets, I composed this simple card. The So Sweet of You Sentiment Set helped tie it all together. Can't forget a little sparkle added with Paper Sweeties Sequins! Can't wait to send this off to a friend. Thanks so much for stopping by! Please check out all the other designers' creations for this month as well! Beth Luetschwager —You are here!! 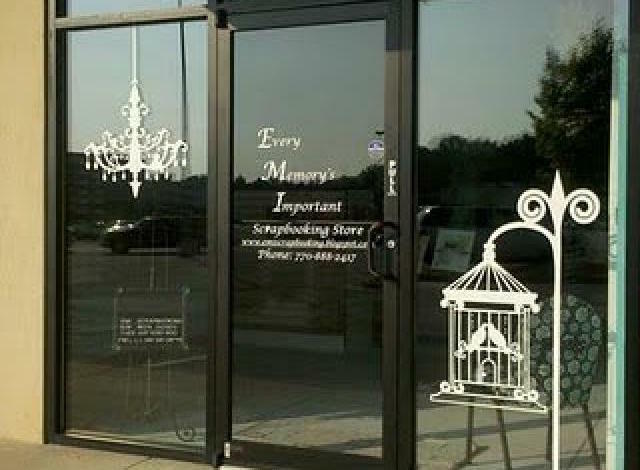 Have a fabulous time crafting.